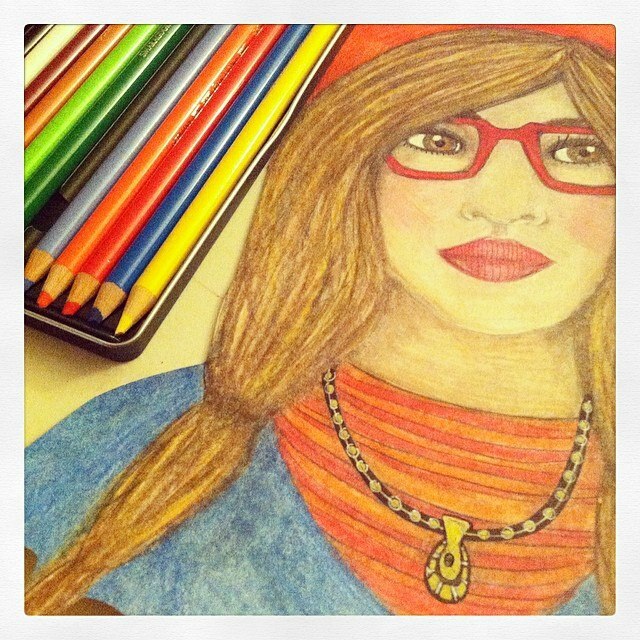 Last week, I decided to purchase a set of Faber Castell Polychromos colored pencils. (I blame Lisa from Lachri Fine Art, she’s a super talented artist who uses these colored pencils. Yeah… I’m pretty much obsessed with her YouTube videos.) I was intrigued by the pencils because they are oil based (not wax based like the pencils offered by Prismacolor), they are blendable and apparently the cores are fairly strong (the pencils won’t break too easily when you sharpen them). After trying these pencils, I was very pleased with them. Although I have only been using them for a week, they met expectations and seem to be a wonderful and high quality product overall. My first time trying Polychromos. Here is a Gif I made to illustrate the difference. The lighter image is before blending and the darker, more vibrant, image is after blending. That’s all for now. Thanks so much for following my creative journey! 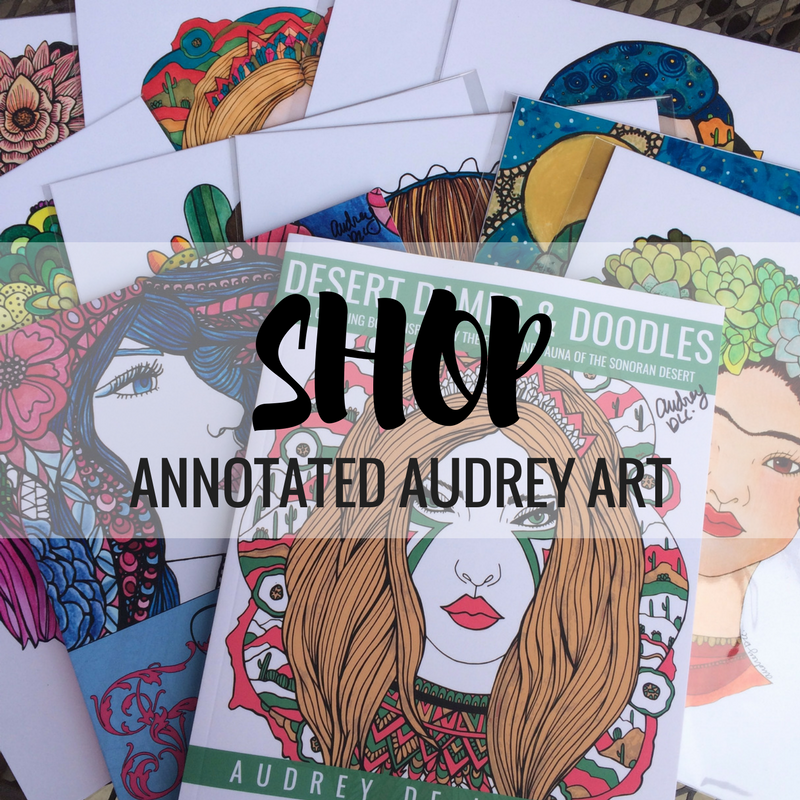 If you like my art or even just found it interesting, follow this blog @ annotatedaudrey.com. My Feminine Florals Coloring Book is available on Amazon. Buy your copy today! Really good work here and I use the water color pencils and they work great. Thank you for finding my blog–your work is inspiring, and I will be sure to keep checking back! The pencils really worked well for you. Lovely art. I really enjoyed your post and intend to visit you often. Thank you for the information about the Polychromos too. I was about to buy the Prismacolor but I may try both first. I suppose it depends what technique you are trying.